Your home is made up of more than rooms specific to a purpose. There are entryways, hallways, and side rooms that see a great deal of foot traffic and miscellaneous usage. With that in mind, it is important you have the perfect lighting for the non-room spaces in your home. When you don’t have a lot of space and have just a little bit of real estate for lighting, sconces will often be a go-to option. From short in length to large and ornate, these lighting fixtures can work as wall decor as well as the lighting option you’re looking for. We want to highlight some of the spaces in which you should consider using sconces and how they can best serve your lighting needs. When you’re ready to purchase the perfect wall sconces, shop with Butler Lighting for the best service and selection! We’ve all had those moments when we look at a dark or poorly lit hallway and have a small panic attack. Whether you’re having visions of a horror movie that had a profound effect on you, or the fear of stepping on a rogue LEGO® has kept you from walking anywhere that does not have lights, a hallway can be one of the many forgotten spots in your home. 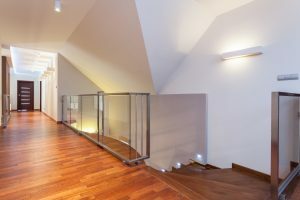 You have to use your hallways to get from one room to another, and it may be the last place you worry about when it comes to changing light bulbs or updating the light fixtures. However, rather than dealing with having to get a ladder to change the bulbs or having too many overhead lights that might be spiking your energy bill, installing sconce lights are a good option. Not only are they easier to maintain in your hallways, you can install a smaller number of these light fixtures to have a more efficient lighting system. Chandeliers are a mainstay when it comes to your dining room. 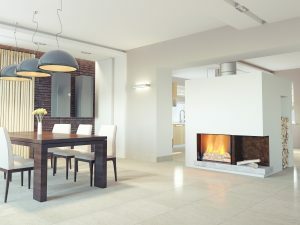 While they make sense as a centerpiece to hang over the center of the room and illuminate your dining experiences, sometimes the sides and corners of the room suffer. It can be easy to focus solely on the chandelier, but adding wall sconces to the outside of the room is a quality way to add brightness without detracting from the main focus. The serving table or sideboard in your dining room won’t be in the dark, leaving your dinner guests wondering what is being put on their plates, and sconces can be chosen as a complement to your chandelier or other dining room decor. Your staircase is another place in the home where lighting is often not considered. Unless the light bulb has burned out, you probably don’t pay much attention to how much lighting your staircases receive. Once you have to change the bulbs or replace a fixture, though, you find yourself in a dilemma. Do you risk trying to balance a ladder on your staircase to replace the bulbs? Do you have a tool that can help you do this without a real struggle? If you aren’t feeling like a lighting daredevil, this chore sounds more dangerous than it does necessary. So, rather than dealing with overhead recessed lights on your stairway, installing wall sconces along the stairway can solve all of your problems. Not only can you set them up where you won’t have to risk injury to change the lightbulbs, but you will also find yourself appreciating the softer, less harsh lighting as you walk up and down the flight. Sconces are a great lighting option for nearly any space in your home. Whether you are looking for a wall lighting fixture that is easy to maintain, will help you lower your energy output while still getting great illumination, or you want to accent the already existing light fixtures in the room, sconce lights should be near the top of your list. 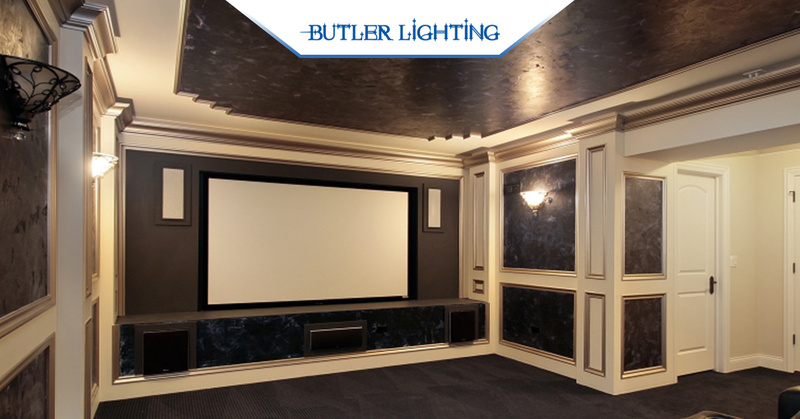 If you’re looking for a lighting store that has a great selection of wall sconces, as well as any other lighting fixture you need, trust Butler Lighting. We are North Carolina’s premier lighting provider, and with three locations you are sure to find convenience and professionalism with us. Stop in or give us a call today to make sure all of your lighting needs are taken care of the right way!